I am not sure whether this has been out for ages and I am so late to the party that everyone has gone home or just dropped lucky but the layout of Editors' Choice has changed and I would say definitely for the better! 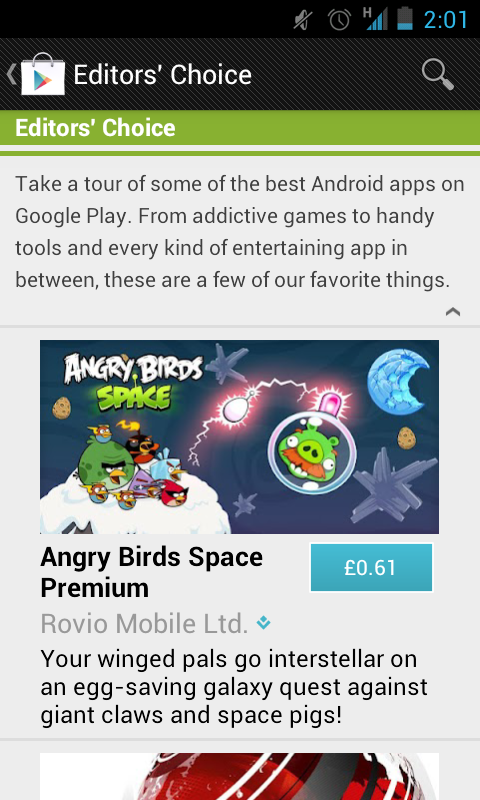 Upon my daily browse of the Google Play Store i went in to Editors' Choice to see something completely different! As you can see Google have gone from the 2 apps, no description that you can still see in Staff Choices to this more snazzy looking screen with a brief description of the app too! It makes me wonder whether this is a sign of things to come from Google? Have a look for yourself and let us know what you think!